Jupiter is the latest Room Escape game created by Gump, the author of Saturn, Uranus, Neptune, Charisma, Boat House, Guest House, Terminal House and Rental House. In this follow up to Saturn, Uranus and Neptune, once again, your mission is to find a way to open the exit door. 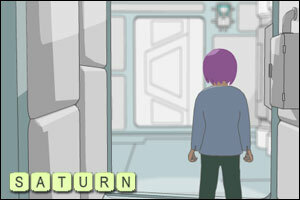 Saturn is the latest Room Escape game created by Gump, the author of Uranus, Neptune, Charisma, Boat House, Guest House, Terminal House and Rental House. In this follow up to Uranus and Neptune, once again, your mission is to find a way to open the exit door. If you enjoyed Uranus and Neptune, you won’t want to miss Saturn! Uranus is the latest Room Escape game created by Gump, the author of Neptune, Charisma, Boat House, Guest House, Terminal House and Rental House. In this follow up to Neptune, once again, your mission is to find a way to open the exit door. If you enjoyed Neptune, you will like Uranus. And you will probably enjoy the upcoming installment as well, since the series is not over yet! Note: please be patient while the game is loading…. Neptune is the next installment in the Japanese Room Escape series created by Gump, the author of Charisma, Boat House, Guest House, Terminal House and Rental House. In Neptune, you find yourself trapped in an unknown room and your mission today is to find the “key” to open the exit door. But is it really the exit door? 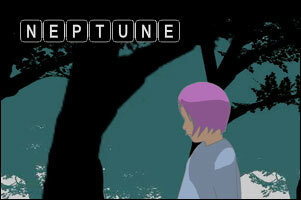 If you like Gump’s games, you won’t be disappointed with Neptune. This latest episode is probably one of the easiest released so far by the author (I didn’t say easy). The main issue with this game is that Gump’s server is getting hammered, and you will have to be very patient if you really want to play Neptune! Note: please be patient and refresh the game’s page until it loads…. Charisma is the fifth installment in the Japanese Room Escape series created by Gump, the author of Boat House, Guest House, Terminal House and Rental House. You are trapped in a recording studio today, and you look a bit depressed! It seems that you won’t leave this place before you sing your song! If you like Gump’s games, you will love this one! 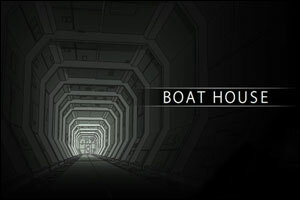 Boat House is the fourth installment in the Japanese Room Escape series created by Gump, the author of Guest House, Terminal House and Rental House. It’s time to play again with energy drinks! If you like Gump’s games, you will surely enjoy Boat House! Update: Boat House video walkthrough! John Feltham is a Flash developer from UK. His first two games, Sphere Core and Cube Core were released last October, followed by last month’s Prism Core. His Core series is growing in popularity and was well received by many gamers. Pierre Gauthier is a French Flash developer who released Muselock, his first Room Escape game, last summer. The author provided both French and English versions of a very nice-looking and creative game, and we are looking forward to his next game. 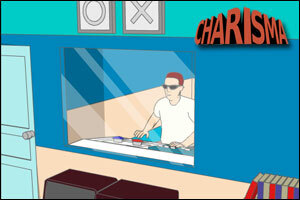 Gump is a Flash game designer from Japan. He is the creator of Terminal House, Rental House and Guest House. All three games were released this year and each installment is better than the last. Mofuya is a Japanese Flash developer and the creator of several Room Escape games such as Mobai Room, Swan’s Room and Quaint Room. He released two new Escape games this year, Another Room and Mobai Room 2. Noaki Nakashima is a Room Escape games developer from Japan, famous for his popular Dona Room series. The author released new Room Escape games this year, Unfair Note and Dona Room 3 – Bath Escape. Unfortunately, most of his games are only available in Japanese. Neutral is a Japanese Flash Escape games developer: he has produced two challenging and very polished Room Escape games in 2007, Sphere and RGB. Neutral is now working on his next Room Escape game that should be released in the first half of 2008. Keep an eye on his work and in the meantime, enjoy his latest mini-game, Christmas Escape! Paskapet is a very prolific Flash game developer from Russia, who has released six Room Escape games in the last eight months! After the release of Escape Library, Paskapet made five games in the “Colored Rooms” series, Escape Pink Room, Magenta Room, Green Room, Orange Room and Turquoise Room. Shawn Tanner is the author of several popular flash games and the Webmaster of Afro-Ninja Productions. Shawn released three Room Escape games this year in his very popular Escape series: Escape the Car, Escape the Closet and Escape the Phone Booth. Guest Room is the third installment in the Japanese Room Escape series created by Gump, the creator of Terminal House and Rental House. 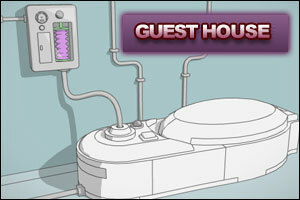 Guest House comes with the same high quality level of graphics and animations as the previous episodes. This one is not too hard but still challenging and if you enjoyed Terminal House and Rental House, you will love Guest House! 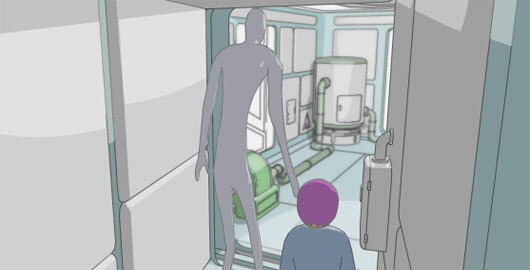 Rental House is a new Japanese Rom Escape game created by Gump. This game is the sequel to the previously reviewed Terminal House released earlier this year. The game is in English and almost without text, so there is no language barrier. Once again, you find yourself trapped in a room, and the door is… locked! You notice that the door doesn’t have a keyhole so don’t waste your time looking for a key! 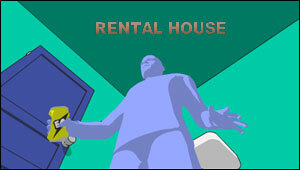 Rental House comes with the same high quality level of graphics and animations, just like the original. The game is much easier to complete than Terminal House, and is recommended for a 60 minute lunch break. Please be patient while the game is loading. Terminal House is a new Japanese Room Escape game from Gump released four days ago. The game begins with a pleasant introduction, and, if I don’t read Japanese, I can easily imagine that you’re stuck in this room and you need to escape! With neat graphics and nice 3D animations with zoom-in effects, Terminal House looks interesting and I got a feeling that it might be good. Update: the game is now avaiable in English. Links updated!